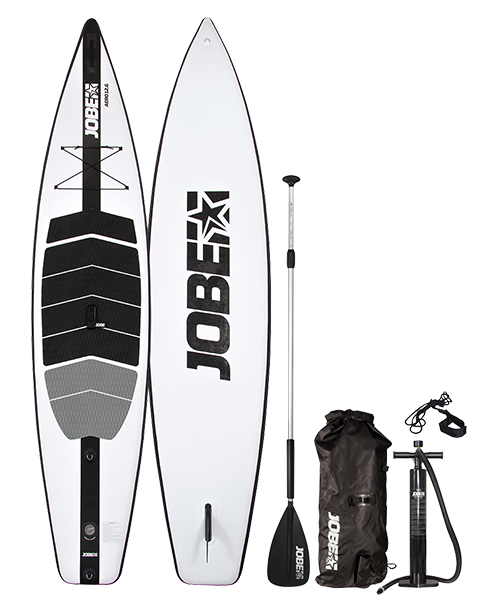 The 12.6 Race SUP design includes handy new gadgets like a handle at the tip of the board. D-rings on the tip and tail AND a slip knot bungee system so you can carry anything you need for your next SUP-trip! The corners of this SUP’s square tail design create fantastic trachking and makes this SUP fast. The comfortable grabhandle in the centre of the board makes carrying easy, while the attached paddle holder keeps the paddle in place. On your mark, get set, GO! What do you think about the AERO SUP 12.6?